The "Awesome Video Game Data" talk at GDC 2014 was full of trends you probably already know about, but the magnitude of these trends was surprising all the same. One fascinating tidbit the speaker, video game consulting company EEDAR's Geoffrey Zatkin, offered up was that in the retail gaming space, some 75% of all revenues generated are from only 12% of games. This transcends genre, as well. Shooters are dominated heavily by CoD, BF, and Halo. The magnitude of the MOBA split, however, is something that may surprise you. You've no doubt heard Riot touting the absolutely amazing LoL player numbers, but put in perspective of the MOBA genre as a whole, it turns out that 89% of people playing MOBAs are, in fact, playing League of Legends. What was similarly fascinating was the scale of the direct correlation between review scores and revenue generated by any given title. While we all know that correlation does not imply causation, the fact remains that critically acclaimed games sell better, in part because, as Zatkin put it, "game reviewers are still in touch" with the gaming audience. While it's not much of a surprise that better games sell more, the fact that a game scoring 50/100 on average will sell only half as many units as a game scoring 60/100. This goes up the line as well. On average, a game with an average review score of 90 or higher will sell eight times as many units as a game scoring 50. Another point that was brought up repeatedly throughout was that core gamers - gamers who are accustomed to paying for console and/or PC titles and DLC - make up the lion's share of the paying mobile market. The mobile market is still fledgling, at least relative to the gaming market at large, so it's not surprising to learn that its paying user base is made up primarily of those who aren't put off by spending money on a game. In fact, the average mobile gamer spends five of nine weekly gaming hours playing mobile games. This means that your average mobile gamer is playing "real" games four hours a week. As much as we as a demographic might hate to admit it, light players of console and PC games are the mobile gaming market. These facts speak to the savviness of the gaming audience. Zatkin offered up some Wii sales stats for comparison. As Wii game purchasers were much more demographically spread out - your parents and grandparents probably bought Wii games - the consumers were less informed, and the correlation to review score wasn't nearly as pronounced. In fact, in the two year period after launch, Wii games scoring 40-50, 50-60, and 60-70 all sold fairly evenly, rather than showing the 2x jump in sales per 10 points of review score. Concluding the talk, Zatkin went on to eSports, comparing the viewership of the LoL finals to sports competitions. In concurrent viewers, the eSports finals saw around as many viewers as the NHL finals. 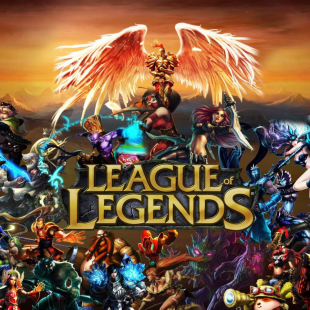 Since denizens of the internet like to watch things on their own time, however, this was nominal compared to the total views of the LoL finals, which was comparable to the viewership of the NBA finals in 2013. To keep things in perspective, however, Zatkin finished with a slide showing the World Cup viewership. As big as LoL may be, it's still only a few percent of the world's premiere sports event's numbers.